There Are Several Things That Are "Wrong" With The Background Screening Industry. In the current July edition of Security Director News the Editorial is entitled ‘Are you in the know about pre-employment screening?’ It starts out with “There are several things that are "wrong" with the background screening industry. Some of the issues stem from misinformation, and some stem from bad business practices. But the bottom line is that most of the companies in the United States are not getting good information. The biggest issues are the misconceptions concerning database searches. 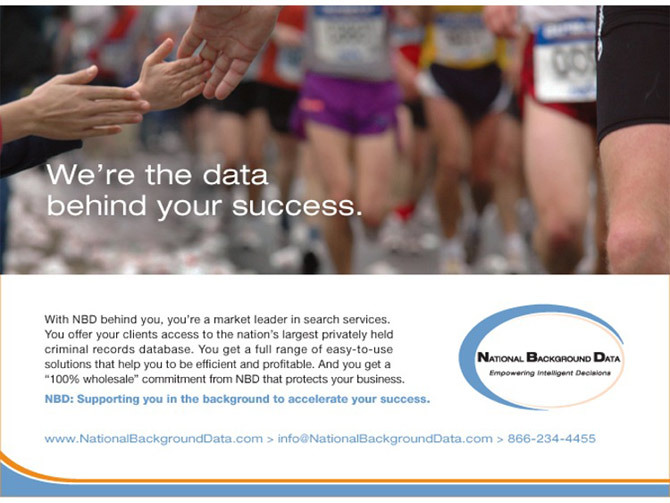 There are companies all over the place that sell criminal record searches that are "national". But there is no such thing as a national database search, period. Even the famous FBI database search, the NCIC, has flaws. In 2005, the National Association of Professional Background Screeners commissioned a study on the accuracy of the NCIC and the results were shocking to say the least. The study found that in a significant percentage of searches, the FBI database returned erroneous or incomplete information." Attendance was up again this year, to a record 15,000 attendees and another 7000 or so exhibitors, staff and others. Note: there are over 225,000 SHRM members. The number of pre-employment screening companies exhibiting was up about 10 to 55. It really seemed that there were more background checking companies than any other category. Some even had booths right next to the other or across the row. Regardless, the exhibiters I spoke with were very excited about the quantity and quality of the leads. Of course, as we know so well, these are only “leads” and must be worked to turn into Accounts. The point is, people are looking for something better and those exhibiting have a good shot at knowing who those companies are. NAPBS had a booth again this year, talking about the value to the end user in using a NAPBS member as a quality background screener and giving out a special SHRM edition of the slick NAPBS Journal. The hot topic again this year for background screening companies was The Complete Recruiting Suite. Excons Need Not Apply: Are We Creating A New Underclass That Is Not Able To Get A Job? The U.S. locks up more people than any other nation, and therefore releases more people from prison each year - more than 650,000 per year (120,000 per year in L.A. County alone). And with a job market that increasingly locks out people with criminal convictions experts say it is no wonder that nearly 70% of people who come home from California prisons return within one year of their release. "How can we in good conscience expect people with past convictions to turn their lives around when we force them to wear shackles," said Supervisor Yvonne Burke. Her motion called the Fair Employment Resolution would remove the criminal conviction question from L.A. applications. More U.S. Cities Removing Criminal Record Questions from Job Applications. Across the country cities and counties are undoing the stigma and discrimination that follows people with criminal records. Major U.S. cities (including Boston, Chicago, Minneapolis, San Francisco, St. Paul and Alameda County California) are calling the dreaded question - hypocritical and discriminatory. Accurate Background, Inc. Wins "Supplier Diversity Award" - JCPenney Names Accurate Background as their Leading Minority-Owned Business Vendor. Secure Document Destruction, a division of James M. Sweeney and Associates, Inc. has been sold to Cintas Corporation. Secure Document Destruction provided secure onsite shredding of confidential documents and materials in the Quad Cities and surrounding area. Cintas is an experienced national shredding services provider and will operate the onsite shredding business from their Moline, Illinois offices. 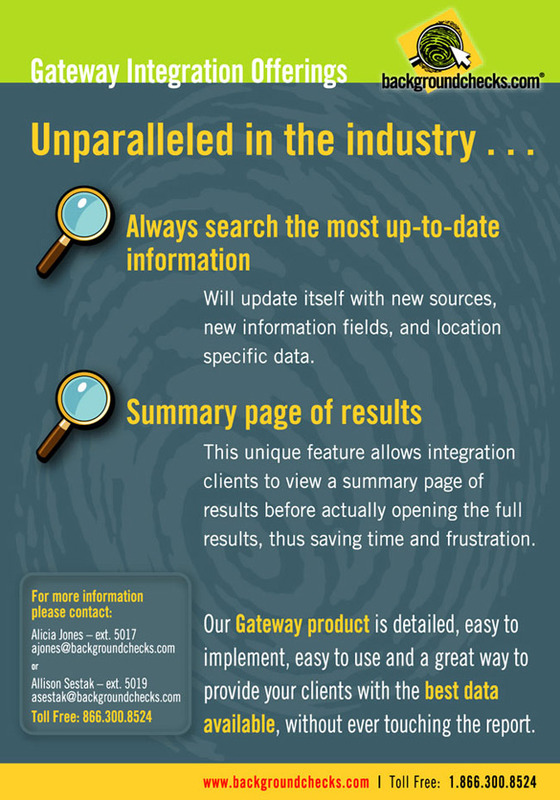 SPECIAL PROMOTIONAL CAMPAIGN FOR RELEASE OF COMPREHENSIVE GUIDE FOR SELECTING A BACKGROUND SCREENING FIRM SELLS OUTS! Thank you for making our Special Promotion campaign to release our landmark booklet ‘Comprehensive Guide For Selecting A Background Screening Firm’ an overwhelming success. It not only Sold Out, it over sold, so we will be doing a second one shortly with slots already pre-sold. The new campaign will be sent to a new set of 5,000 Human Resource Managers. Verifications, Inc., a leading provider of global employment screening and applicant processing services, announced a revolutionary new product at the SHRM annual conference in Las Vegas June 24-27. The new product,VI Applicant Manager, combines employment screening, applicant management and onboarding. 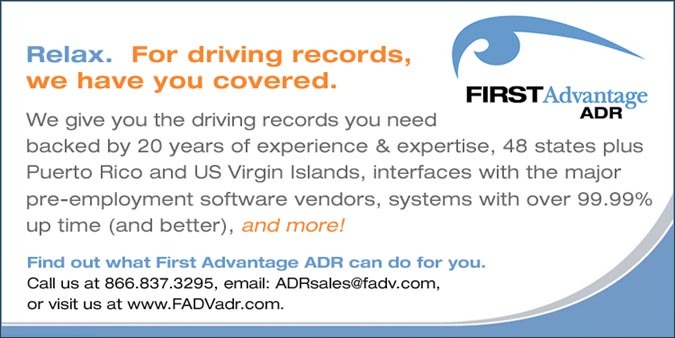 No other product on the market provides these services via a single software system. The application has been in development for over eighteen months and will be delivered using the software as a service model. What do you think it would cost your institution if a laptop with 10,000 customer records went missing? A new online calculator created by Darwin Professional Underwriters puts the cost per breached record at $166 per record (www.tech-404.com/calculator), and shows the cost breakdown among internal investigation, notification and crisis management, and regulatory costs. Every time there's a major data breach insurance companies that write policies to cover the technical side of breaches and privacy-protection policies prepare for a deluge. "Demand for netAdvantage has been outstanding," says Nick Economidis, VP and Product Manager at National Union Fire Insurance Co., a wholly owned subsidiary of AIG, which has offered a security-risk policy called netAdvantage for years. "We've seen a significant uptick in interest and a significant uptick in buying as a result of data-disclosure events, most notably in the last couple of months," he says. Connecticut - A new state law calls for the state Department of Motor Vehicles to follow the same screening standards for school bus drivers that the state Department of Education uses for teachers, administrators and coaches. Gov. M. Jodi Rell this month signed the bill requiring additional background checks of people applying to drive school buses. The check includes reviewing the state child abuse registry. The new law prohibits anyone convicted of or arrested for a major felony or crime associated with child abuse or neglect from driving schoolchildren on buses. It also requires the DMV to deny a bus driver's license to anyone convicted of a serious criminal offense if the person has not completed his or her sentence within the past five years. Florida Rep. Tim Mahoney, D-Fla., whose district includes part of Charlotte County, has introduced a House version of a bill that would create a national background check system for long-term care employees. The proposal has been pushed by Sen. Herb Kohl, D-Wisc., who says the background checks are needed to prevent people with criminal histories and abuse records from working with the elderly in nursing homes and other long-term care settings. A seven-state test of the idea, included in the 2003 Medicare Modernization Act, ends in September. More than 5,000 people were excluded from long-term care work in those states. "This legislation would build on that success by providing better protection for our friends and family who are entrusted to the care of others,"Mahoney said in a press statement. CEOs Go Global For Talent: Companies looking overseas for skilled employees. More companies are tapping into overseas talent to deal with a lack of qualified workers in North America, according to a Deloitte & Touche LLP survey. The firm's Technology Fast 500 CEO survey shows 55% of CEOs plan to offshore talent in the next five years. Thirty percent of respondents also say by 2012 they plan to offshore up to 10% of their workforce, while 27% say they'll offshore up to 20%. Less than one-fourth of respondents (20%) plan to offshore up to 30% of their workers, and 15% expect to offshore up to 40% of their workforce. Barclays and G4S are just two recent victims of bad press coverage broken by undercover journalists. So what can HR do? Background screening at the recruitment stage to help spot bogus CVs and references is one way of screening out potential troublemakers. NEW DELHI: Aiming to regulate private detectives and outsourcing some policing jobs to detective agencies in the country, the government is set to introduce a Bill in the monsoon session of Parliament. Drafted by the Home ministry, the Private Detective Regulation Bill 2007 seeks to bring the private detective agencies under government control and eliminate fly bynight operators. Recent research by CIFAS – the UK’s Fraud Prevention Service – has confirmed that staff fraud has a reputational, financial, regulatory, internal and customer service impact on businesses. As a result, staff fraud is now emerging as the single most significant fraud risk to the financial services industry and a serious risk to all businesses. The growing threat from staff fraud can be effectively combated by organisations co-operating and adopting a common approach that includes zero tolerance of all types of staff fraud and a rigorously anti-fraud internal culture that promotes honesty, openness, integrity and vigilance throughout the workforce. Background security checks on foreign doctors and other health workers migrating to Britain are to be stepped up after the weekend bomb scares in London and Glasgow. Recruitment of overseas medical staff will also be reviewed and the worldwide watch lists for terrorists expanded. New agreements are being sought with countries around the world to ensure a co-ordinated response to the terrorist threat. Gordon Brown announced the moves in the Commons as police continued to question eight suspects, all of whom worked in the NHS. "It is vitally important that the message is sent out to the rest of the world that we will stand strong, steadfast and united in the face of terror," he said. The prime minister, during his first Question Time in the Commons, said the Government would strengthen background checks on highly skilled migrants. Insurers will face prosecution for hiring private investigators to dig up confidential information on customers, according to new rules coming into force at the end of this year. The rules are part of a new code of practice for insurers which is being drawn up by the Data Protection Commissioner, Billy Hawkes, who is responsible for upholding the privacy rights of individuals. During recent audits of insurance companies, Hawkes discovered that civil servants in the Department of Social and Family Affairs (DSFA) had leaked sensitive social welfare records to insurers. ‘‘I am concerned that such leaks are happening,” said Hawkes. ‘‘The DSFA has sensitive information on people, many of whom come from a poor background. When people entrust their details to the state, they should have the confidence that this information will be kept confidential and only used for the purposes for which it is given in the first place.” Under data protection law, it is a criminal offence for a company to obtain someone’s confidential information without their consent. How Would You Like to Get More Sales Leads? We have just added 5 new Platinum Members Only Web Sites to promote our Platinum Members. Our Goals is to Create Additional Sales Opportunities for our Members and we continue to work hard at giving you value beyond your expectations. With the right advice and counsel it is highly likely this situation and complaint could have been avoided. How much time, resources and money is now involved in resolving this situation? This is an example of a situation that Infinity Screening Solutions could have helped resolve before it got to this level. Let us help your clients avoid unnecessary situations that waste time, resources and money! Contact Barry Nixon at 949-770-5264 or at Barry@wvp911.com to learn more about how Infinity Screening Solutions can help you increase revenue while helping your clients avoid unnecessary headaches. Call it the case of hiring a fox to guard the hen house. A senior database administrator at a subsidiary of Fidelity National Information Services Inc. who was responsible for defining and enforcing data access rights at the company instead took data belonging to about 2.3 million consumers and sold it to a data broker. If Phil Howard's, an assistant professor of communication at the University of Washington, calculations prove true, by year's end the 2 billionth personal record -- some American's social-security or credit-card number, academic grades or medical history -- will become compromised, and it's corporate America, not rogue hackers, who are primarily to blame. According to Howard malicious intrusions by hackers make up a minority (31 percent) of 550 confirmed incidents between 1980 and 2006; 60 percent were attributable to organizational mismanagement such as missing or stolen hardware; the balance of 9 percent was due to unspecified breaches. The California Court of Appeal, Second Appellate District, recently ruled that an employee who was terminated for complaining to his employer’s human resources department and the local police department about threats of workplace violence stated a claim for wrongful termination in violation of public policy. In Franklin v. Monadnock Co., __ Cal. App. 4th __ (May 24, 2007), the appellate court held that the public has a vital interest in ensuring that employees are provided a workplace that is free from credible threats of violence and physical assaults. In order to attain a safe and crime-free workplace, employees must be free to bring to the employer’s attention illegal conduct or credible threats of violence without the fear of termination.